Crawfish Shack Seafood is a Cajun-style restaurant with influences from authentic Vietnamese cuisine. It has become somewhat of a local landmark for Atlanta, so we were very happy when they came to us in need of a new website. After meeting with them and seeing their marketing materials, we came to the conclusion that Crawfish Shack needed to do a complete brand overhaul. A restaurant with its level of acclaim needed to have a brand that people could instantly recognize and connect with. Crawfish Shack’s original logo was a hand-drawn sketch of a crayfish. This came with two major drawbacks: (1) it lost a lot of its detail when printed out, and (2) it didn’t render very well online. The new logo we developed keeps the spirit of the original but with a different presentation and style. The color pallet consists of different shades of red as well as white and gray for accent colors. We also redesigned their menu to match the look of their new brand. Like any restaurant, the Crawfish Shack’s main draw is its food. So, it made sense to have a delicious spread of Cajun-style seafood be the first thing people see when they arrive on the website. The main navigation is statically positioned on the left so that it doesn’t move as the user scrolls up and down the page. 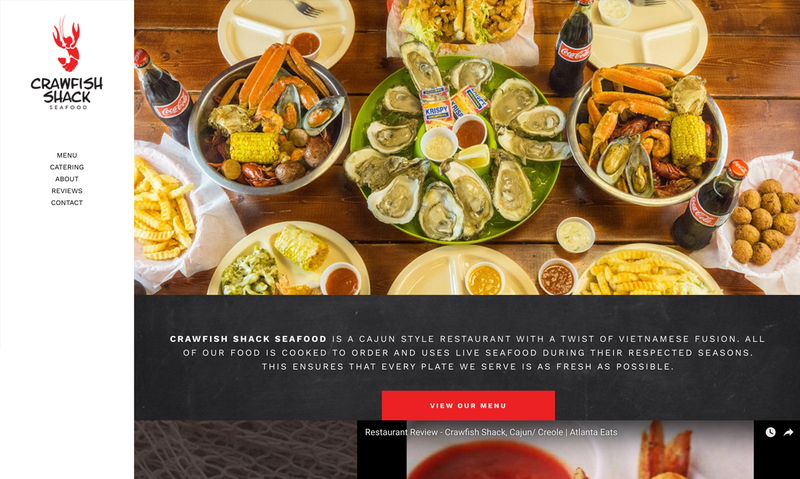 This makes it easy for the user to explore the site and keeps the Crawfish Shack’s logo in constant view, helping to reinforce the new brand. The website was also designed to be mobile and tablet friendly, meaning that it will automatically resize to fit any screen. To keep branding consistent, we designed custom banners and profile images for all of Crawfish Shack’s social profiles. 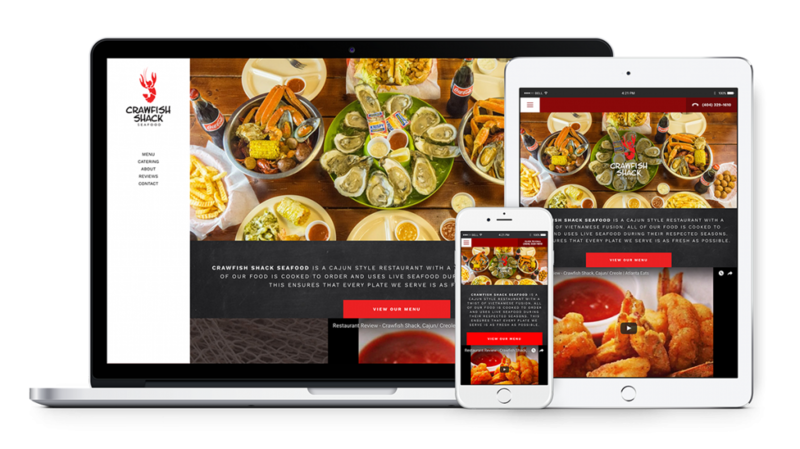 With their revitalized brand and new website, Crawfish Shack can keep serving great-tasting food while providing their customers with a better online experience.